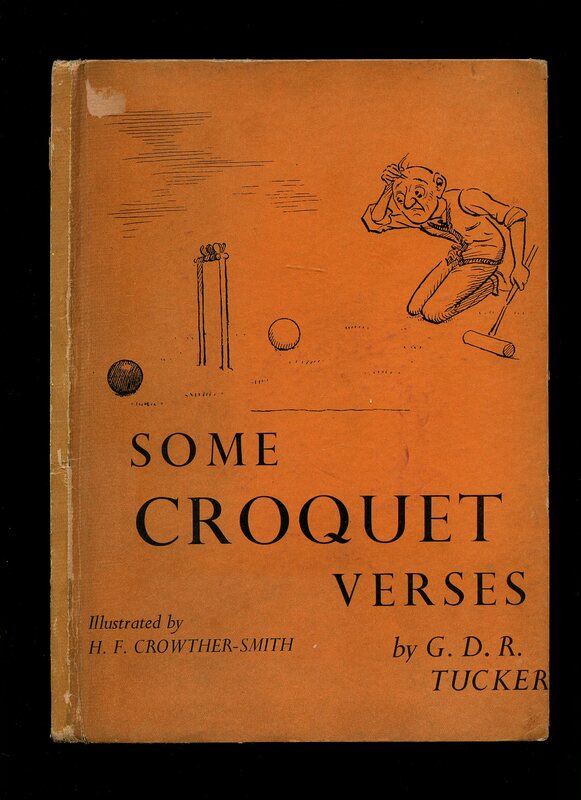 Published by Longmans, Green and Co. Ltd., 39 Paternoster Row, London First Edition 1937. London 1937. First edition hard back binding in publisher's original monochrome illustrated orange paper covers. Quarto 10'' x 7'' 36 pp. Finely detailed humorous monochrome illustrations throughout. Very light rubbing to the spine edges and corners, without any foxing and in very Good clean and bright condition, no dust wrapper. Member of the P.B.F.A. Published by E. J. Larby, 1 Paternoster Avenue, London Second Fully Revised and Updated Edition 1910. London 1910. 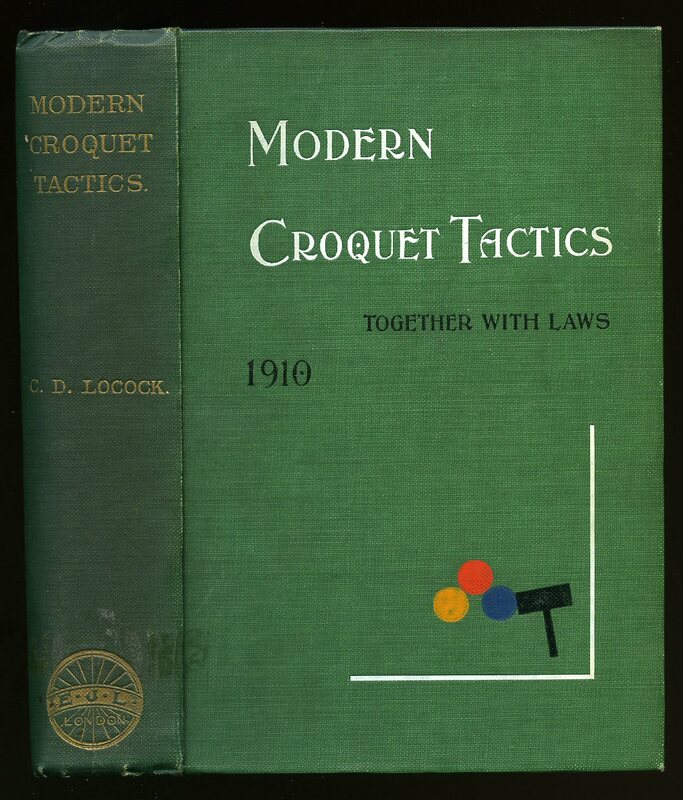 Second edition hard back binding in publisher's original emerald green cloth covers, gilt lettering to the spine, white and black lettering, three coloured Croquet balls and a black mallet to the upper panel, olivine top edge. 8vo 7½'' x 5¼'' xxviii, 219 [page]. 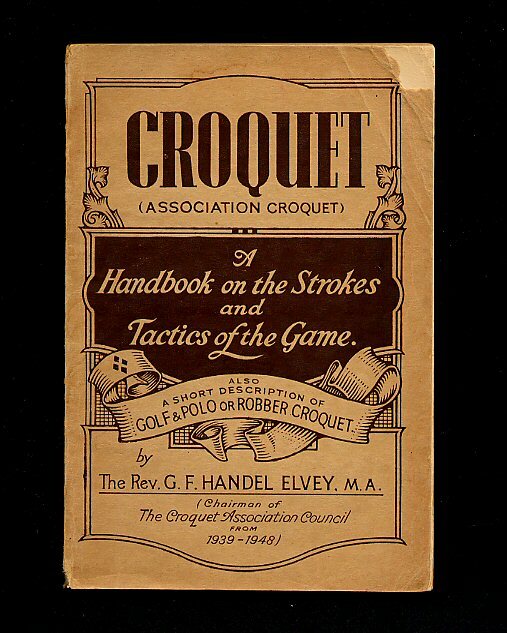 Illustrated Croquet advertisements to the end papers. 63 colour diagrams, monochrome photographs. Spine slightly sun darkened, without any foxing, corners sharp and pointed and in Very Good clean and sound condition, firm and square. Member of the P.B.F.A. Published by John Jaques & Son, Ltd., 361 Whitehorse Road, Thornton Heath, Surrey 1949. Thornton Heath 1949. Publisher's original sand card wrap covers, brown title and author lettering to the spine and to the upper panel. 8vo. 7½'' x 5''. Contains 80 printed pages of text with monochrome diagrams. Small chip to the top front corner and in Very Good clean condition, no dust wrapper as published. Member of the P.B.F.A. Published by F. H. Ayres 111 Aldersgate Street, London 1903. 1903. Publisher's original stapled light green card wrap covers [soft back]. 8vo. 7'' x 4½''. 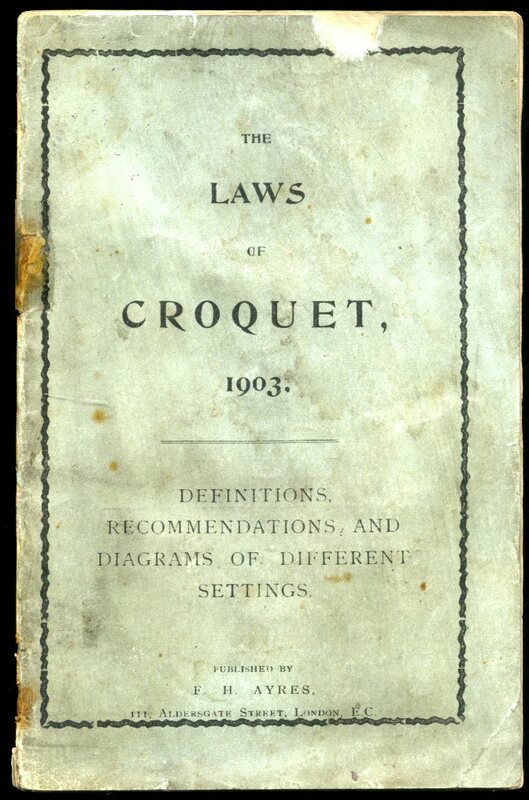 Contains 28 pages + one advetisement to the rear and one illustrated advetisement inside the front cover and one illustrated advetisement to the verso of the title page. 5 full-page sides of 'Hoop' settings. Not in the best condition with the rear cover missing and with a new piece of green card added, the staples are rusty leaving the centre pages loose. Member of the P.B.F.A.